About Prodaptive Medical Innovations Ltd.
Prodaptive Medical develops and markets solutions to problems and shortcomings in clinical medical equipment. The partnership of two well seasoned emergency care providers with overlapping areas of expertise has resulted in the development of Prodaptive’s first product to market, the STAL Shield and Stand. In 2009 Al Wickheim took an idea from concept to product addressing an obvious need to the biohazard concerns inherent in the use of the Yankauer suction device. SARS had struck a deadly blow in Toronto a few years before and H1N1 loomed. While initially designed as a shielding device, it was apparent that the STAL served numerous other functions as well such as a stand. As an adjunct to half a dozen medical instruments used in Aerosol Generating Procedures – AGP’s, the STAL Shield’s versatility and effectiveness makes it the preferred choice when it comes to at-source medical bio-hazard blockade and confinement. Other products are on the drawing boards and with input from practitioners, patients and manufacturing specialists Prodaptive Medical sees growth ahead where the status quo is no longer good enough. At Prodaptive ‘Making good better‘, is what we do. 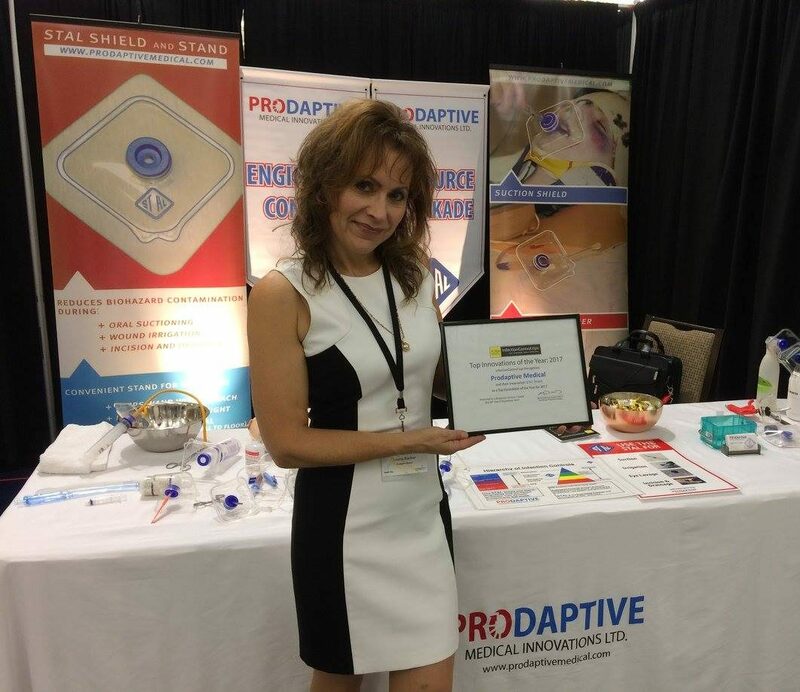 Al Wickheim is one of the founders, innovators, and the CEO of Prodaptive Medical. He grew up near Sooke, B.C. doing a variety of shipyard duties for his Dad. Everything from wreck salvage diving off the rugged Westcoast of Vancouver Island to pile-driving and running a modest machine shop. Al spent a fair bit of time “underground’ as a spelunker on the Island in his youth – sometimes forcing him into new and unexplored passages and territory. Starting with the local fire department as a volunteer for a couple of years Al next worked for BC Ambulance for 30 years, the last 18 as an Advanced Life Support Paramedic. He has been involved in several major projects for BCAS including managing the EMS outfitting for the B.C. Summer Games in 1986 and overseeing the preparation of 36 ambulances for the Commonwealth Games of ’88. He was involved in the development and teaching of the recent H1N1 and Infectious Disease Control program for the employer and was a Level 11 CBRNE Tech. He worked for a Kenn Borek Air, a well established operation in Iqaluit and did numerous Med-evac tour on Baffin Island in Canada’s far north, to as far as Thule, Greenland. Al is always seeking improvements and refinements, tireless to the end. As an ERU Tech with the Canadian Red Cross Al was in Nepal in 2015 and currently is the Community Coordinator for the JdF Emergency Program in Otter Point. Al’s background of innovation and self-sufficiency has taken him through various ventures of construction, hazardous tree topping and falling, bull-dozer and excavator operations. Al and his family live on their farm in the rainforest of southern Vancouver Island where he does wilderness and big tree tours to remote regions of the Island. At home, he works on managing the adventures established and coming up with new projects at a fairly constant rate. He enjoys astronomy and, well, work.